The Back end is more concerned with the business logic and the data aspect of our web application, so this might be implemented in one of several languages. 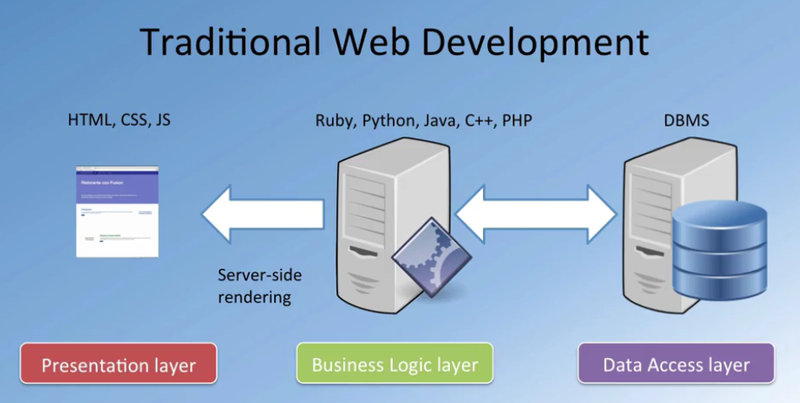 We often hear people talking about the Three Tier Architecture for web development and implementation. Now in this approach, which is a common client-server software architecture pattern, the entire development is divided into three layers. 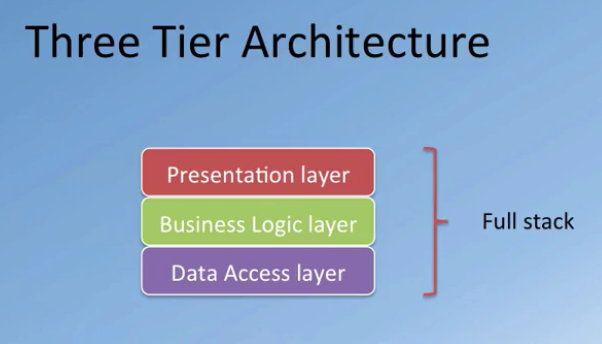 The Presentation layer, which is concerned with the UI related issues and how to present the data to the end-user. Then we have the Business Logic layer, which is more concerned with data validation and processing the data in order to generate information for the users. And then we have the Data Access layer, which deals with data persistence and storage of data behind the scenes, for example, in a database.